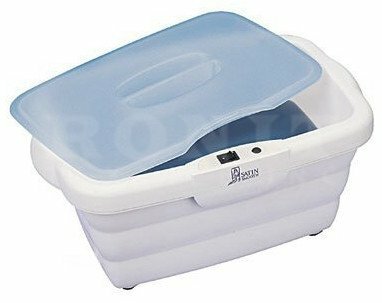 This paraffin baths tub stays cool to the touch, unlike standard metal tubs. Tub accommodates feet, hands, and elbows comfortably. Thermostatically-controlled heating unit for even heat. On/Off power switch with indicator light. Holds 6 lbs. of paraffin wax. 7" wide x 12" long bath opening.